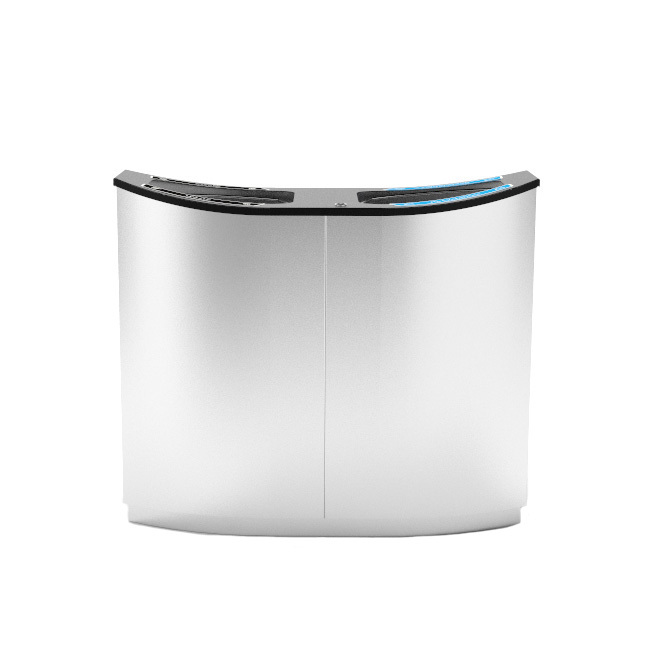 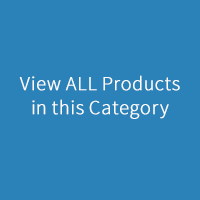 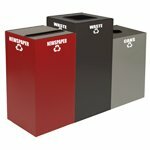 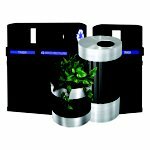 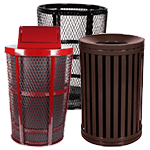 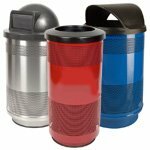 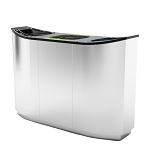 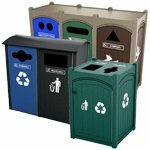 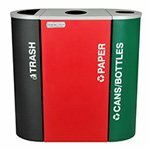 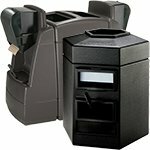 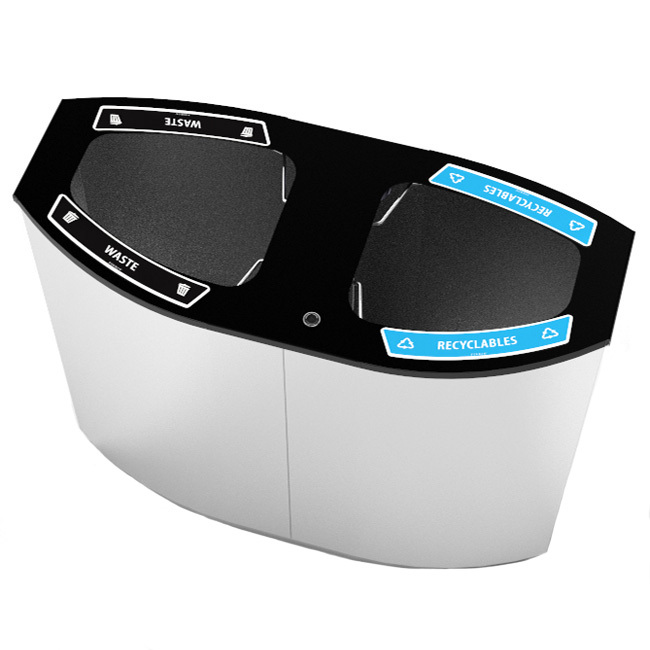 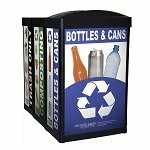 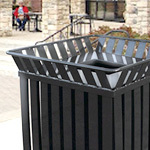 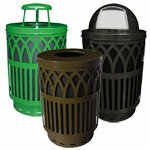 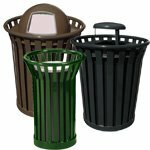 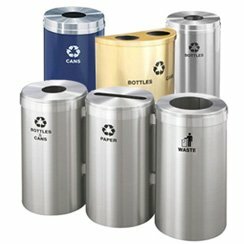 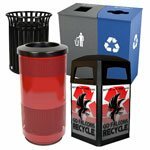 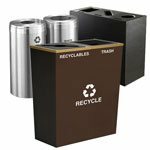 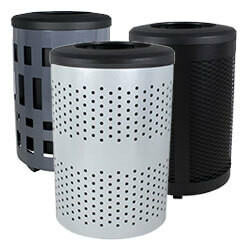 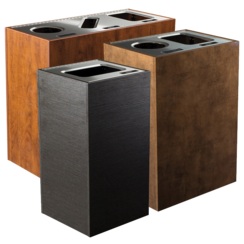 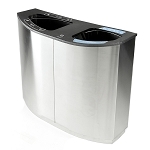 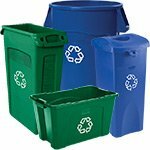 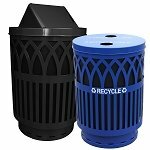 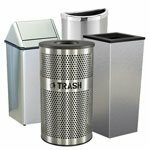 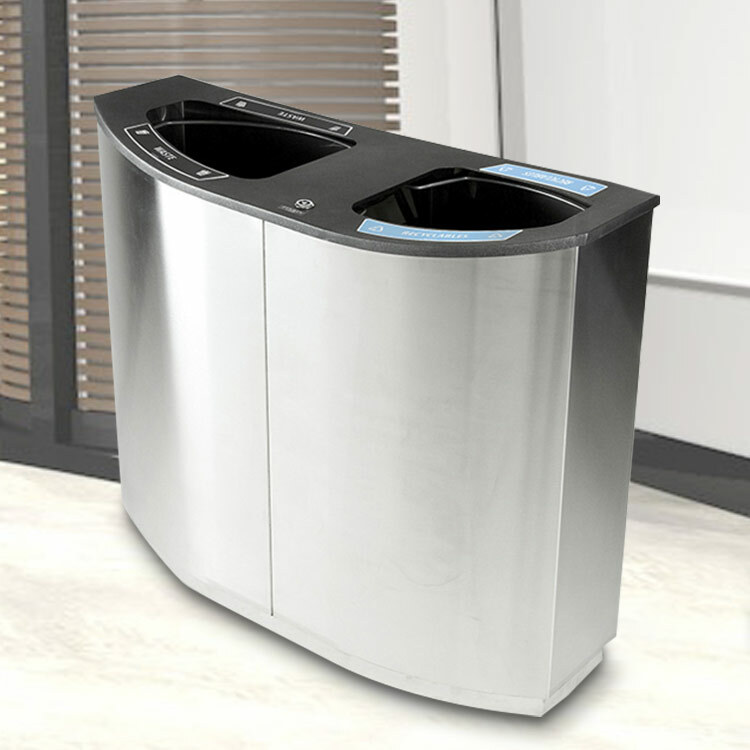 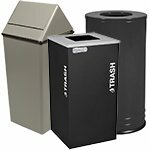 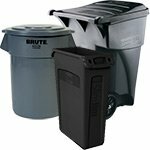 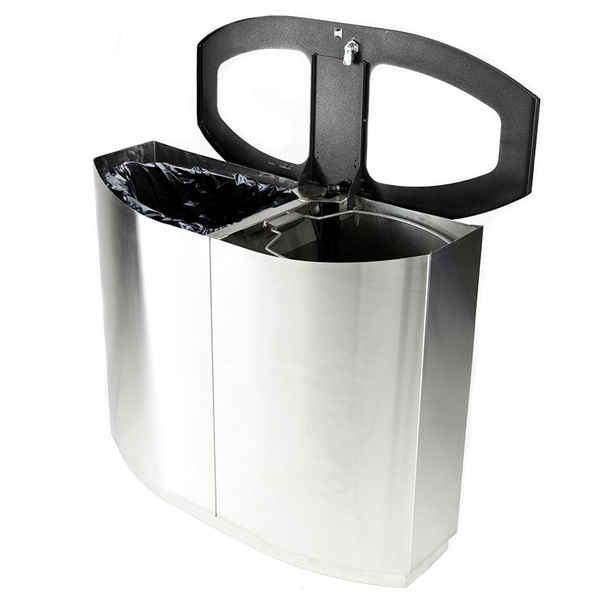 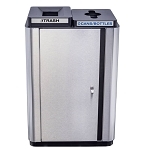 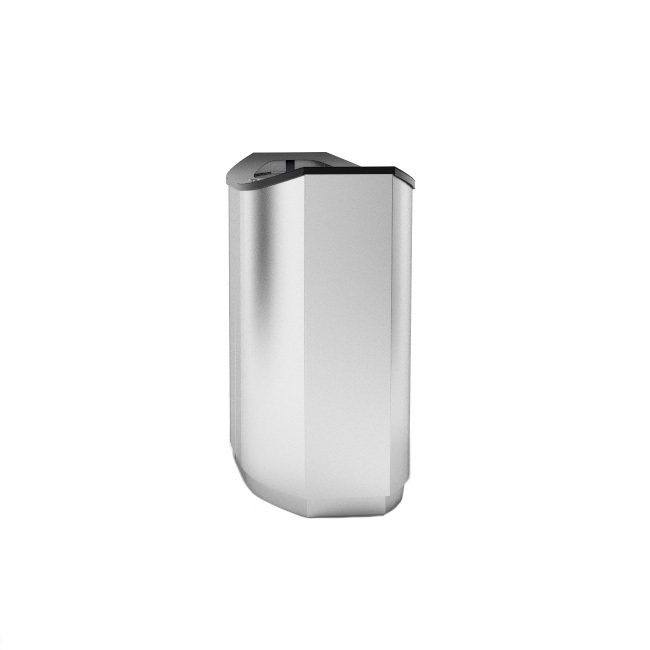 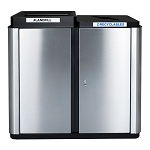 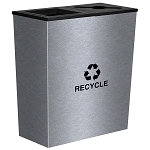 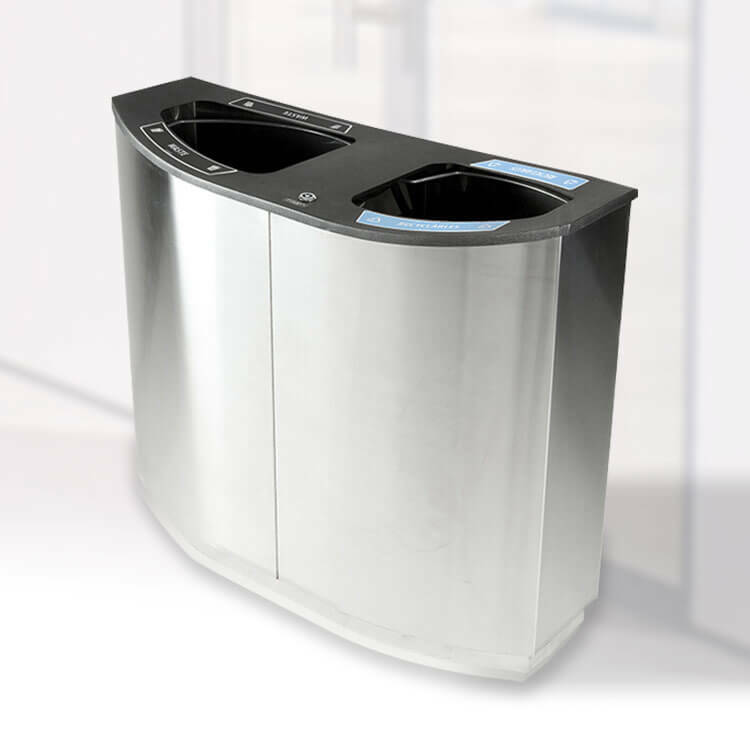 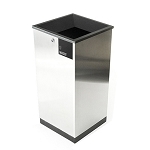 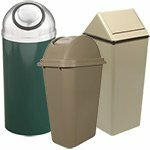 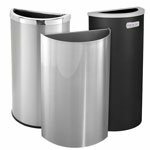 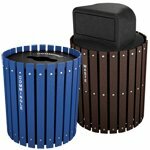 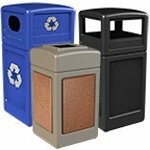 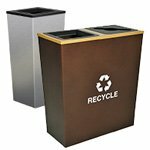 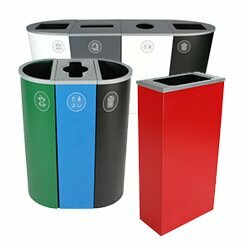 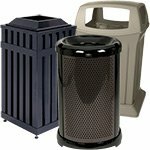 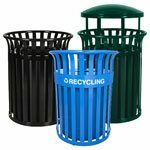 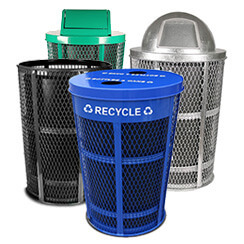 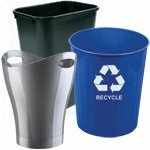 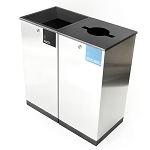 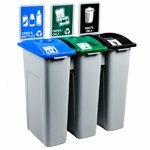 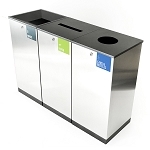 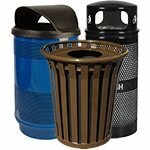 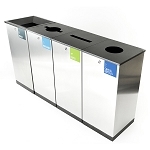 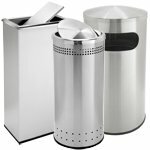 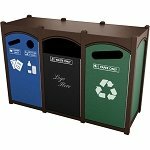 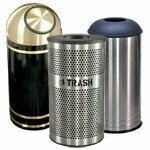 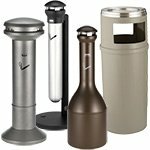 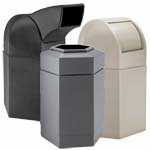 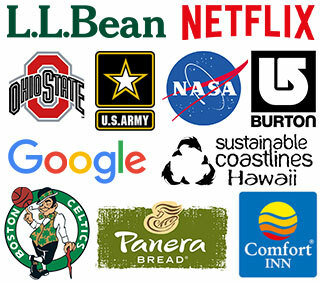 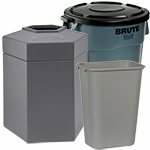 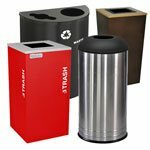 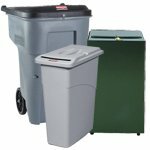 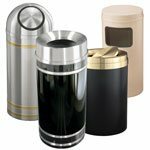 The Wave series is a stylish recycling and waste solution that can fit many surroundings including shopping malls, airports and terminals, offices, and college campuses. 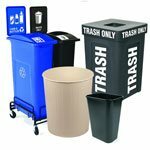 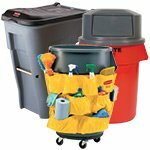 Different openings and labels with text and pictographs help guide the waste sorting. 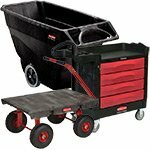 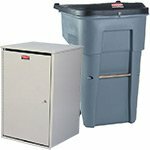 It has two 26 Gallon streams. 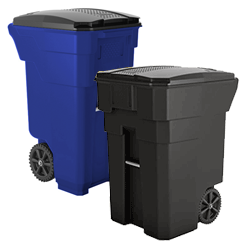 One stream is labeled 'Waste' and the other is labeled 'Recyclables'.